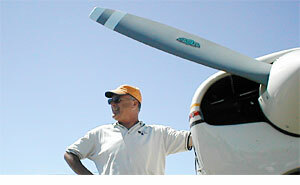 Willamette Aviation Service, LLC is a Fixed Based Operator (FBO) providing services to the General Aviation community. We are located at the Aurora State Airport in Aurora, Oregon, about 20 miles south of downtown Portland, Oregon. Our goal is to meet the needs of the General Aviation community and provide exceptional customer service. Founded in 1996, our company offers a variety of services, including FAA-regulated flight training, pilot supplies, aircraft fuel (24-hour self-serve ExxonMobil 100LL), aviation maintenance, and aircraft rental. Everyone is also invited to sign up for our free email newsletter. To be added to our list, simply use our handy online form, which you can also use to update your email address in our system or remove yourself from the list. All removal requests will be honored, and we will never share your email or use it for anything other than the newsletter. That's a promise. Please contact us if you have any questions by calling (503) 678-2252, or e-mail info@willametteair.com. If you're in the area, feel free to drop by. Willamette Aviation is on Facebook! Click here to visit our Facebook profile and add us as a friend to your Facebook account! We are doing our best to provide a daily stream of news, photos, weather information, and more, and we look forward to seeing you there as well as on this website.